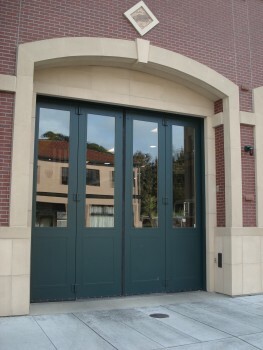 Folding garage doors offer a number of advantages over conventional systems — in addition to giving the exterior of your facility a unique look, they provide additional space for applications in which interior headroom is required. 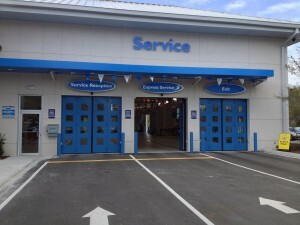 If your facility has complicated ducting or other equipment on its ceiling, folding garage doors can permit easy entry and exit without posing a major engineering challenge. O&L Door Systems is a leading Twin Cities expert in bi-fold and four-fold garage doors. We offer a number of services, from installation to repair, that help keep your operation safer, more productive and less exposed to risk. Read on to learn more or contact our office directly for assistance. As the name implies, bi-fold garage doors feature two horizontal slats that fold outward to open. In the Twin Cities area, O&L Door Systems can design and install bi-fold garage doors for clients in Burnsville, Eagan and beyond. We also back up everything we do with exceptional service, including 24-hour repairs in emergency situations. For more information about whether or not bi-fold garage doors are right for you, give us a call today. Compared to bi-fold doors, four-fold garage doors feature two additional slats to cover a wider area. For this reason, they are common in fire stations and mass transit facilities where large trucks come and go on a regular basis. Because they contain additional moving components, four-fold doors typically need service more frequently than their bi-fold counterparts. Working with a team that specializes in commercial garage doors — such as O&L Door Systems — is the best way to ensure your purchase keeps running its best for years to come. From emergency repairs to preventative maintenance, O&L Door Systems is your best choice for bi-fold and four-fold garage door service in Burnsville, Eagan and throughout the greater Minneapolis area. With expert technicians and an extensive inventory of parts on hand, we can quickly diagnose any issue and get you fully operational again in a minimal amount of time. To request service, call our office directly or submit your contact information using the online form on this page.